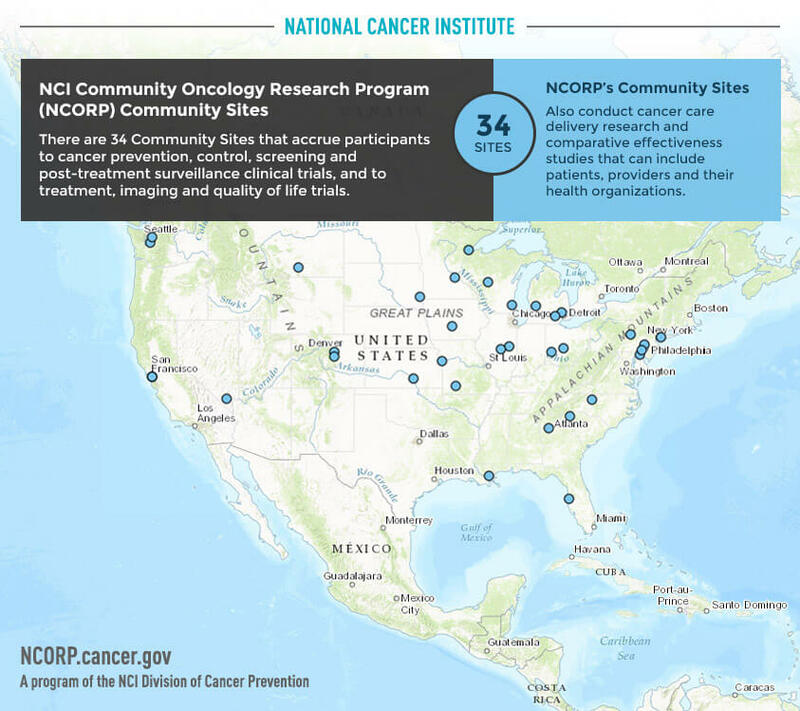 Infographic Description: NCI Community Oncology Research Program (NCORP) Community Sites. There are 34 Community Sites that accrue participants to cancer prevention, control, screening and post-treatment surveillance clinical trials, and to treatment, imaging and quality of life trials. NCORP’s Community Sites - also conduct cancer care delivery research and comparative effectiveness studies that can include patients, providers and their health organizations.